Take the game's Nemesis System. By far the most interesting element, the Nemesis System mirrors the U.S. strategy in Afghanistan and other global battlefields: to degrade and destabilize Sauron's capabilities through targeting leaders, causing chaos and wrecking morale. More than merely assassinating captains, Talion also influences power struggles, denies recruitment and destroys training camps. In other words, he's striking at Sauron's organizational structure in order to weaken it before it leaves Mordor -- to fight them over there before we have to fight them over here. This isn't how you attack an enemy army, it's how you root out terrorist networks. The game also depicts the irony of this counterterrorism strategy, which is that every time you kill an orc captain, someone (often worse) takes his place. This isn't merely a gameplay system either, it's the plot of the game. The entire point is that Talion conducts black ops in enemy territory to degrade, disrupt and destroy Sauron's fighting capability through assassination and sabotage. But in order to target these warchiefs and captains efficiently, Talion engages in another counterterrorism activity: intelligence gathering. The game frames this activity in explicitly modern terms, even using the abbreviation "intel" despite the fact that the word feels anachronistic in Tolkien's setting. 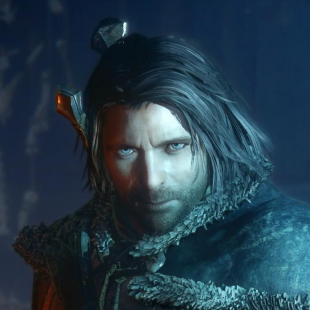 While Talion steals enemy battle plans and letters, he also conducts raids to capture and interrogate high value prisoners in order to learn more about Sauron's network. Visual, auditory and dialogue cues suggest that these interrogations cause pain, with orcs thrashing and the Celebrimbor screaming, Suffer me now! as he forces his way into the target's mind. It's without doubt a torture parallel, and the fact that it's successful consists of a political statement in itself. Moreover, later in the game Talion can also dominate captains and send them on missions, helping them climb the ranks in Sauron's organization in order to create exploitable opportunities. Both of these tactics reflect a counter-terrorism sensibility -- the idea that in order to destroy a hostile organization you must identify the key players through inside knowledge and undermine them by placing agents in their midst. More than mere military strategy, this is intelligence gathering in support of direct action operations. Shadow of Mordor also plays heavily on a psychological warfare strategy that U.S. intelligence services employ in the War on Terror -- sowing fear in the enemy. But while Talion does this with wraith abilities, the CIA favors drone strikes. Targeting suspected militants Afghanistan, Somalia, Yemen and Pakistani tribal regions, drone strikes are potent psychological tools. Able to move into an area silently and strike without warning, drones keep militants -- and unfortunately, many innocent civilians - looking over their shoulder for the next attack. The concept is to cast the drone as an avenging specter, a presence that people know may be watching them from the skies, ready to strike. The hope is that this fear doesn't incentivize militancy, though there's some evidence that drone strikes actually increase recruiting due to their propaganda value. Shadow of Mordor, explicitly encourages you to instill fear in the Uruks, whether it's attacking a captain with specific elements like fire or caragors, or using abilities like Drain and Brutalize that make enemies flee. Indeed, it's telling that the prompt to release Morgai Fly nests isn't drop or release flies but rather terrorize. Much like intel, that's a fairly politically-charged term these days, and not one used by accident. The truth is that throughout the game, both cutscenes and mechanics instruct the player to make enemies fear them through moving above their gatherings unseen and destroying them in targeted strikes -- at times even with explosions triggered by wraith arrows. While this element by itself doesn't necessarily parallel the War on Terror (after all, military commanders have used terror tactics for millennia) in the game's larger context it fits with current intelligence doctrine that attempts to influence the enemy through fear. It's un-Tolkien, but very Leon Panetta.